To say that my wedding photography portfolio includes some of the best wedding photos in Boston might be a bit of a stretch for some people to accept. However, my mother, who was born in New England, thinks I'm the best and that's all that really counts. What makes one photo better than another photo? 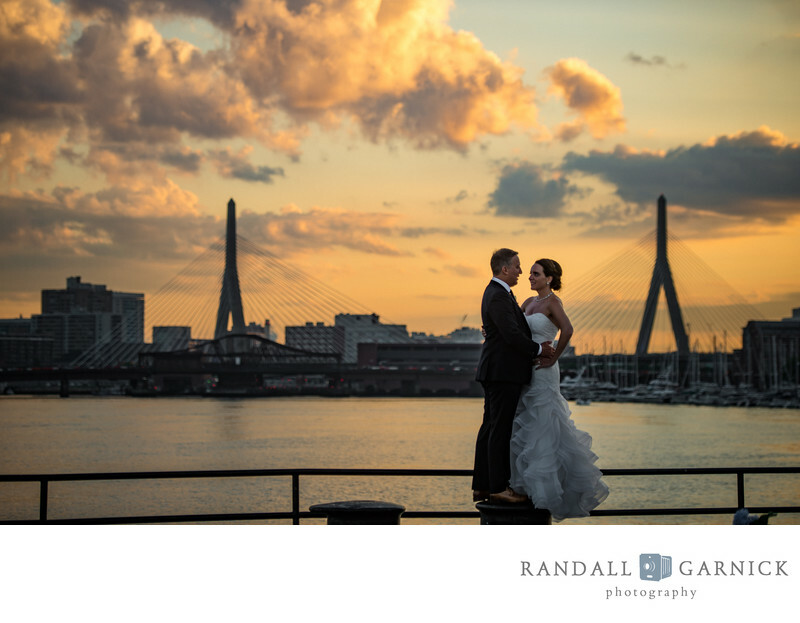 What says iconic Boston wedding more than a wonderful bride and groom with the Zakim Bridge as the backdrop. The Charlestown wedding venue, Pier 4 at the Courageous Sailing Center, was featured by The Knot as one of the 10 Most Talked-about Boston wedding venues. It has a laid-back vibe, a beautiful massive tent for the summer months, and as you can tell a view of the Boston skyline that can't be beat. Location: Pier 4, Charlestown Navy Yard.